At Malta the clocks tick different. On church towers and in many homes you can often find two clocks: one shows the correct time, the other clock either goes wrong or is a painted dummy. The reason for this strange custom lies in the belief that one can mess up the devil with different times, so he leaves the islanders in peace. 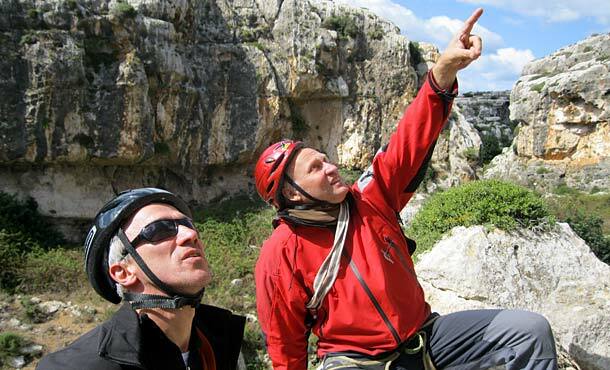 This practice had no impact on us, and every morning we promptly set off to one of the many climbing areas on Malta or Gozo. We were impressed by the variety of different climbing options. 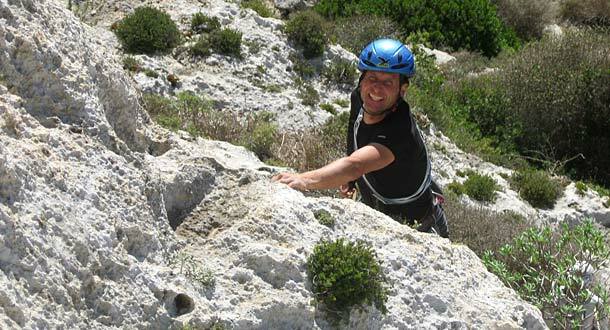 On the island, many climbing areas are located in small, often dry river valleys or on the rocks along the Victoria Lines. This was an old defense line from the 19th Century, which runs across the island and is exposed to strong winds, which can be very annoying when climbing. Another evil lurks at the base of many rocks: fast overgrown thorn bushes makes climbing of some routes just impossible. For our next visit we will certainly bring jungle-tested gear. 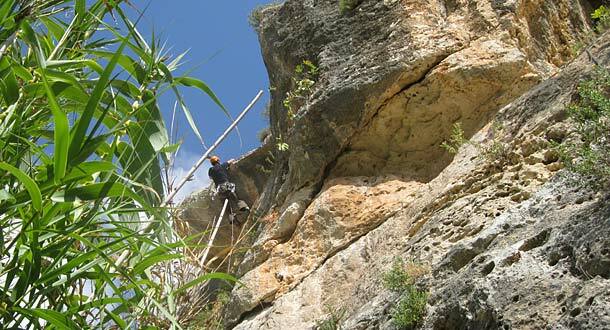 At the southwest side of both Malta and Gozo, there are bays and steep cliffs of lime-sandstone (Globigerinen) with routes up to 135 meters. 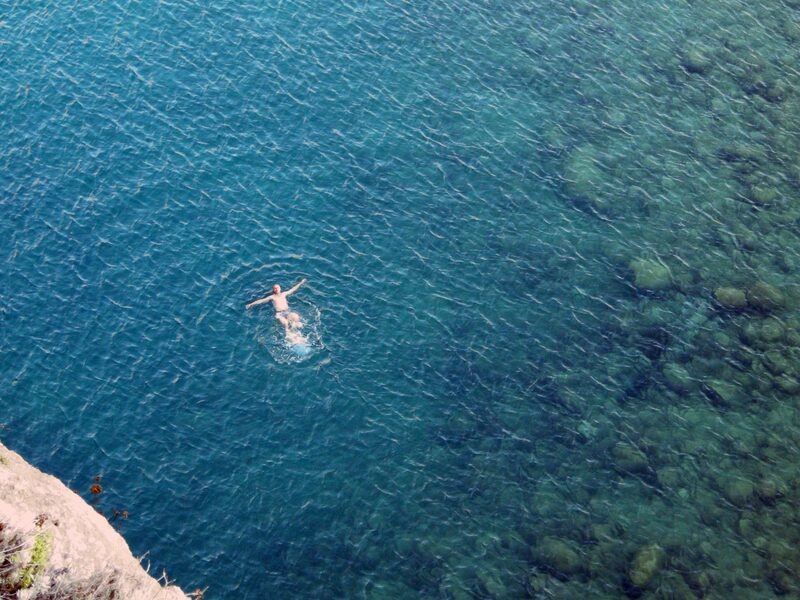 Moreover, both islands offer some very interesting deepwater soloing spots.  The island is mostly embossed by southern Italian to Arab, but the colonization by the British has changed it culturally to this day. This also reflects the climbing ethics: the trad style is omnipresent and most climbing areas are clean and must be protected by yourself. The protection of the routes is sometimes very demanding: the crags near the sea are very fragile, the rock unreliable – be careful here! 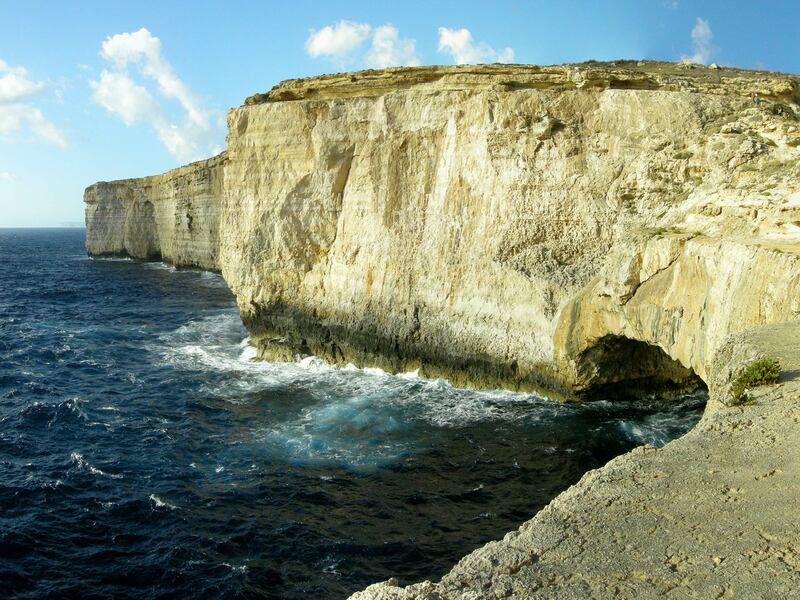 Gozo, Malta’s neighboring island, can be reached by ferry in half an hour. 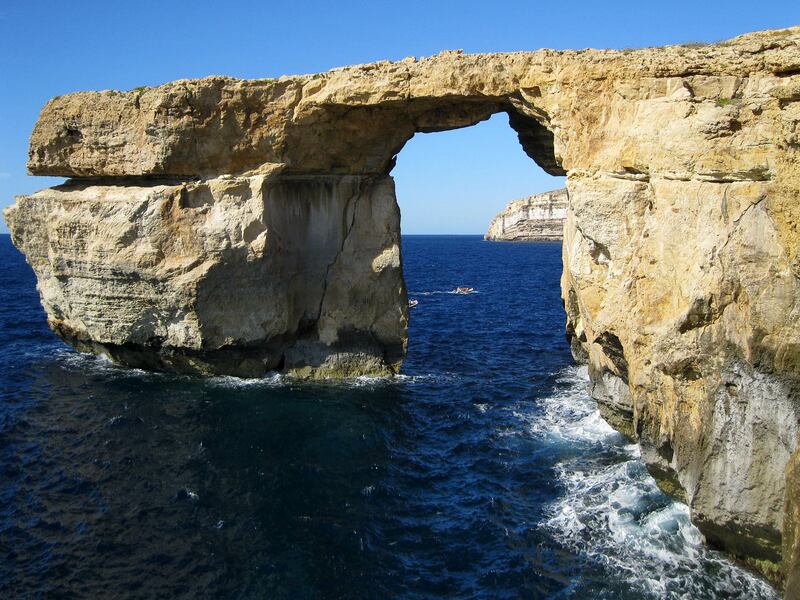 It offers some excellent climbing areas next to the giant rock arch “Azure Window” at a lake associated with the sea. 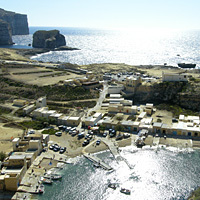 The best way to finish your climbing day on Gozo is at a local bar with tasty specialty food and excellent local wines. However, don’t be surprised on your way back home, if the church clock once again indicates an incorrect time. 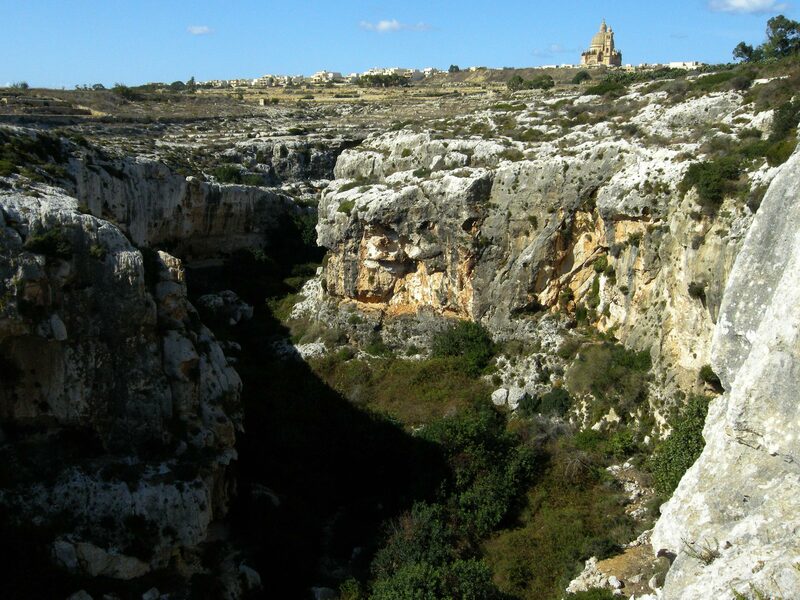 Take the airplane to the airport south of the capital of Valletta. Hire a car and drive to Mellieha (a good location for both Malta and Gozo with a beautiful sandy beach and easy access to the harbor). Autumn and spring, the summer is very hot and dry (many good climbing areas are sun-exposed), the winter can bring lots of storm and rain. 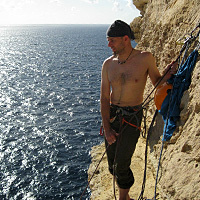 Baseclimbs up to 35 m, multi-pitch climbing at the sea up to 135 m.
The british trad climbing on Malta and Gozo is well established, most routes are clean and protection must be set up on your own (often very tricky). This also relates for the setup of rappel anchors. The lime-sandstone rocks at the sea are exposed to very severe erosion. Beware, the rocks in these areas are very fragile! 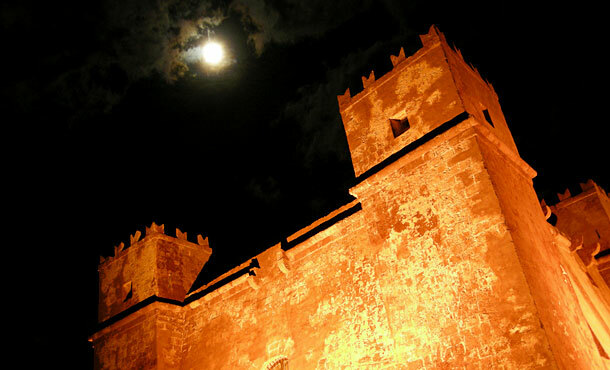 Beside excellent white wines – homemade ravioli and rabbit are two specialties in Malta.